How to Use Munchy Stop – It Really Works! Snacking seems a little extra compelling in the winter, doesn’t it? Maybe it’s the grey sky, the cold weather, all the time spent indoors…snacks are just a little easier to reach for this time of year. 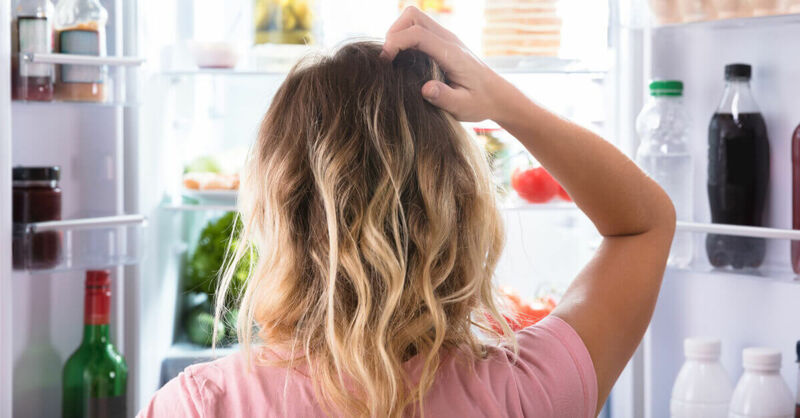 Of course, if you’re looking to curb that habit, Munchy Stop may be just what you need to help stay on track! So what exactly is Munchy Stop anyways? 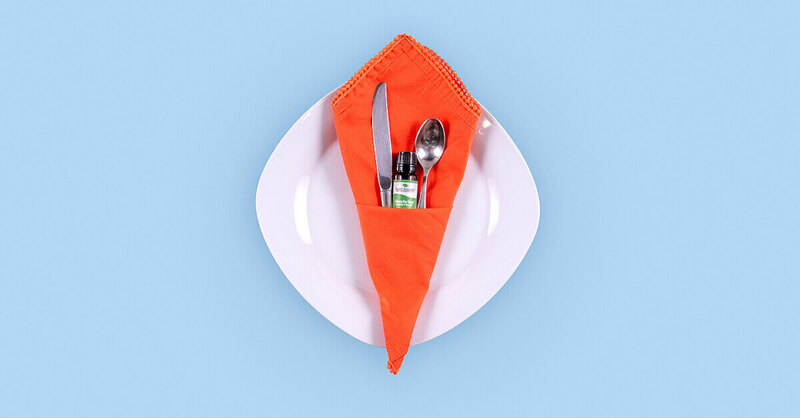 Munchy Stop is a blend of essential oils specifically designed to help manage hunger cravings. It contains Copaiba Oleoresin, Grapefruit Pink, Turmeric C02, Lemon Myrtle, and Yuzu for an aroma that is bright and citrusy. Combined with exercise and healthy eating, this blend naturally promotes healthy weight management and can even help boost willpower! First, and we want to make sure this crystal clear: Munchy Stop is NOT intended for ingestion. Instead, it is designed to help manage hunger cravings through inhalation. After you eat a good meal and feel full, this is a great time to take a few whiffs of Munchy Stop. Over time, your brain will begin to associate this citrusy aroma with the feeling of being full. So when the snack attack starts to creep up, take out your Munchy Stop! It’s great to add to your personal aromatherapy inhaler and carry around with you throughout the day to help you resist indulging on snacks. We also offer it in a pre-diluted roll-on for on-the-go convenience. 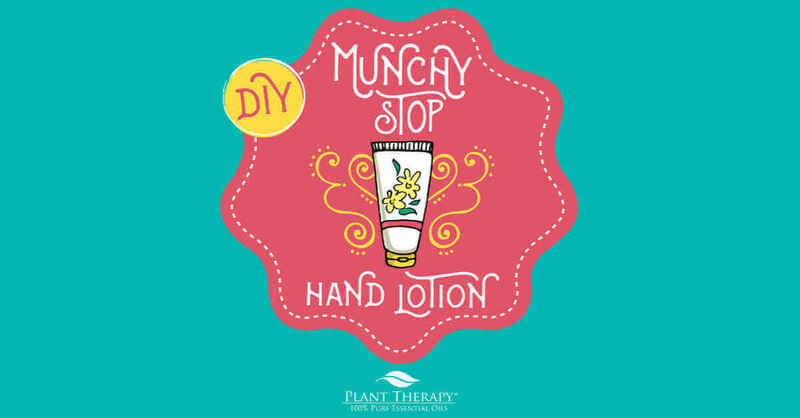 Or, try this DIY hand lotion — perfect to keep at work and use when you’re trying to stay away from the snacks. 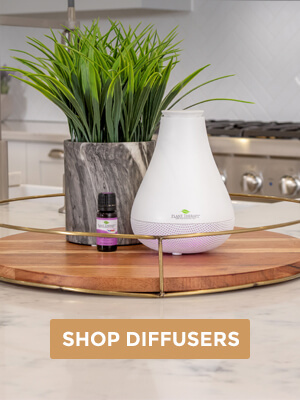 To learn more about our Munchy Stop blend’s uses and benefits, check out our Munchy Stop Essential Oil Spotlight Blog. I have inhalers and need to try this!!!! I appreciate all the helpful blog articles!!! Been thinking about looking into oils to help with weight management. This was very helpful. Thanks PT! Love the Plant Therapy blog. Will definitely be doing more research and reading and hopefully use this and other oils to help promote a healthy lifestyle, especially in the healthy eating and weight management areas. Thank you PT for your insights and educational blog! So glad to see this posted! I purchased already but wasn’t too sure how to use it. Thanks! I have this one and havent really thought about using it much. I think that needs to change! Thanks for the great blog to help me remember to use it!! Munchy stop is next on my list and I’m so glad you blogged and introduced me to this plus emphasized not to ingest. I have purchased this and really enjoy the citrus-y scent. Thanks for tips on using it :-)! I would love to try Munchy stop!! sounds like something I need in my life! I have been interested in this for a while. My husband and I both tend to do great with will power all day, but late afternoon munchies get us almost daily. I’ve been trying to fill up drinking plain water so I’m too full to snack, but this may help too. Thanks! I recently purchased a pre diluted roller ball of munchy stop. This blog has been very helpful in guiding when to use it. I am curious for more testimonials about this. In recent years research shows that willpower isn’t real so I am curious if this classical conditioning tactic works. Just purchased this today. Can’t wait to give it a try! I bought Munchy Stop about a year ago and when I got it I totally froze because I didnt know what to do with it or how to use it. I got scared of it and put it in my box and never touched it again. Now I know I can simple add it to a personal inhaler and use it at work which seems so simple! Thanks PT for the idea!! I purchased this a while back, I need to bring it back out and try using it again after meals, I never tried it like that before. I would try in the afternoons when I wanted a snack! Train your brain…what a great idea. Didn’t realize it could possibly help with willpower…I’m making an inhaler as soon as I get home this afternoon. Thank you for sharing this. I have munchy stop but I wasn’t sure how it really works. Now I do! thanks for sharing this . i bought it and felt that it makes me more hungry. Thanks for sharing! I got this in a set and wasn’t quite sure how to use it. I have been using the roll on and I can tell a significant difference in my hunger during the day. It’s a must have! This is going to be my next oil buy. Cant what to try it. This sounds brilliant! Training your brain to think you are full – I want to try this! Will have to try this! Thank you for the post! Just saw this and will have to try, love that you can use EO’s to train your brain! Ooh this article is very timely for me right now! I’m sticking to my fitness goals well (hot yoga and spin, woohoo!) but trying to eat better is the tricky part! How does this compare with Citrus Burst in reducing food craving since both have citrusy notes? Citrus Burst may work very well for reducing cravings 🙂 If you give it a try, let us know how it goes! I’m sure other customers may be wondering about this as well. I have Munchy Stop and it works great in an inhaler. I will have to try adding it to lotion too. Great info! I’m adding this to my routine ASAP! I just celebrated my one year anniversary of quitting smoking, yay me! But now it’s time to tackle to weight that has come came with my accomplishment. I’m glad I saw this! I got the bottle but haven’t been sure best uses uses yet! I’m glad I came across this blog. I have thought about getting this blend for some time now. I was unsure of how it worked. Thank you for clarifying for me. 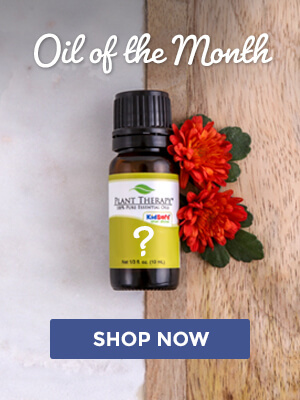 I love Love Love this oil, I have been using it every day and I will apply it and go about my day at work. At the end of the day I take an inventory of my snack stash and have noticed that I am not eating nearly as many cookies cheetos, potato chips, small candies etc. I apply it after breakfast and again in the afternoons. It helps me to get dinner prepared before without snacking first. I purchased this recently and I’ll definitely have to make an inhaler! Brilliant idea to associate w oil! Thanks! I have this oil and had no idea how to use it effectively. I will definitely make an inhaler to carry around now. Also, love the information that by using it after eating your brain will associate it with fullness. I am looking forward to trying this oil! I hope it will help me to slow down with snacking and try to only snack on good snacks! Munch stop is great to use when you get that mid afternoon cravings. I have it in a roller ball and put some on my wrists to smell when I’m feeling the crave. Works a treat. I’ve been looking at this blend for quite some time and wasn’t sure how it worked or when/how I was supposed to use it properly; so this blog is a huge help. Being a huge afternoon and nighttime snacker these tips and recipes are going to be a big help. I need this blend now! I love turmeric, I will definitely have to try this! Thanks for this blog! I had wondered how I was supposed to use it. Makes alot more sense. I have made a personal inhaler with it and will start out using it when full to get the association, then when I have cravings. I got this oil over the holidays and have been meaning to break it out! Great info on use and a good motivator to get started using it! I never thought to make it into a lotion! I think that will help me use it more often I always forget it my inhaler at home. If I make it into a lotion I could just leave it on my desk. I got the roll-on with my last order. What I like about it is it’s very uplifting and just kind of helps me refocus my energy elsewhere. So glad I bought this! Not my favorite scent, but I will give the inhaler another try. I got Munchy Stop in an upsell after I made a purchase. It has a pleasant smell. I’ve been rolling it on my wrists. I don’t know if it stops the munchies but I like it. I’m also using citrus burst to keep me distracted from snacking in these dark days of January and February. Thank you so much for sharing, Chris! I bought Munchy Stop about a month ago and hadn’t gotten around to trying it yet. I really like that you explained how to use Munchy Stop, that was really helpful, thank you! Interesting post. I have looked at getting at getting this blend in the past and haven’t yet. It will be an interesting one to try. I cant wait to try this. I need all the help I can get. Thank you for this information! I recently purchased Munchy Stop and was confused as to how it works. This is super-helpful and I can’t wait to give it a try! I really like the idea to create an association with this oil and feeling full. Thanks for the great tip! Thank you! I purchased this and really wasn’t sure what to do with it. This information is fantastic! I have Munchy Stop, but I’ve never used it after a meal when I’m feeling full. I’ll definitely try this! I have Munchy Stop, but it looks like I need to make a personal inhaler! I’ve been using Munchy Stop as a roll on at work when I get those late afternoon cravings. So far, so good! Cant wait to try this producy! looking forward to seeing if it works for my midnight cravings!! I’m so happy for this post! I got a Munchy Stop roller last year in the awesome New Year, New You set but I haven’t used it because I was unsure how and when. This was really helpful! Great blog post! Very interested in trying these in an inhaler. I purchased munch stop and haven’t used it as often as I should. I didn’t know about using it after a meal to start with first the full association, that’s a great tip! What a great idea! I bought munchy stop quite awhile ago (years?) but I never used it. Time to get it out and make up some hand lotion. Thanks! I smell the turmeric in there really strongly – which can be a problem because in my culture a lot of my favorite foods have turmeric in them! But – it shies away from being a “let’s binge” EO by the other ingredients (I think it’s grapefruit ad copaiba). So instead of reaching for a snack I reach for my trusty Munchy Stop rollerball! Thank you so much for sharing, Fazila! I’ve had this in a while and wondered the best way to use it. I’ve tried just inhaling when I get the munchies, but will try after meals also to train my brain. I was wondering how that was supposed to work. Thanks for the instructions. I really need to give this a try! Maybe it will help my cravings. I started wearing the fragrances of these oils on my wrists from last two weeks (I have used all mentioned EOs except turmeric)) and see the differences already in my food habits. way to go! My problem is the cravings. I am hoping this will help. I am adding this to my cart now. I NEED this. I just bought this and I am so excited to use it! This post came just in time. Thanks! 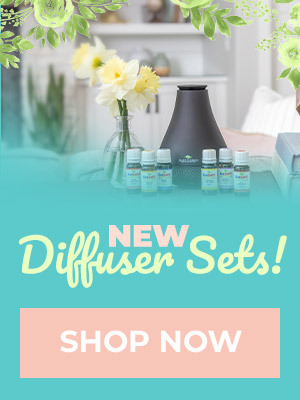 I bought Munchy Stop last year and have been using it in a diffuser necklace. I love the smell! I am so glad you posted this blog- now I will have another way to use it! Thank you Plant Therapy! My new year’s resolution is to shed a few pounds (whose isn’t) so this post came at the perfect time for me. It’s amazing how oils can affect our mood and habits. Thanks for the information. Thank you for this spot light! I’ve been wanting to try this! Thank you for this PT!